Steve Irwin, whose catch phrases “Crikey!” and “Danger!” became part of the general lexicon, touched the lives of millions. The Crocodile Hunter suite of TV shows in the 90’s and early 2000’s injected never-before-seen energy into wildlife documentaries. Steve’s hands-on approach, while heretical to traditionalists, brought a whole new audience to the world of wildlife. At the heart of The Crocodile Hunter and its conservation message, however, sat Australia Zoo. Founded in 1970, Australia Zoo started as a small reptile park run by Steve’s family in Queensland. Today, it stands as a premier zoological institution in conservation and wildlife rehabilitation that has achieved both scientific and financial success. The core engine of this growth is Australia Zoo’s online-offline platform. Direct Network Effects: Steve’s TV shows became more than just marketing material. They became part of the zeitgeist, spawning parodies, SNL skits, and imitators. 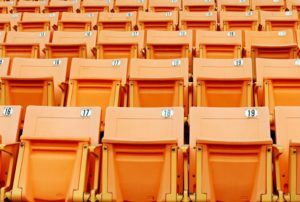 The more people watched, the more people talked about the show, bringing in even more viewers who feared being left out. Steve’s unique brand of authenticity and passion for wildlife demonstrated an egalitarianism and democratization of conservation science (1). He got down to the audience’s level and, in return, audiences related to him. Through the distribution power of Animal Planet, Steve’s message was broadcasted to more than 500 million people in 160 countries (2). The dynamism of the shows grew from the range of operations at the zoo itself. By utilizing Australia Zoo’s physical assets, Steve developed and launched two spin-off shows, Croc Dairies and The Crocodile Hunter Files, in addition to the marquee The Crocodile Hunter. Each show highlighted different aspects of his conservation mission and the operations of the zoo, enabling cross-selling to different audience niches and strengthening his following overall. This interplay between the physical zoo and digital media led to a wide fan base who visited the zoo and shared their experiences with friends, resulting in even more people joining the conservation conversation. Ultimately, the zoo provided an offline anchor for online media, enabling audiences to experience in person what they saw on TV. 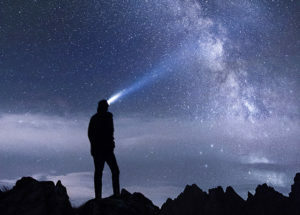 Indirect Network Effects: There are two major players on the other side of the market: Discovery Channel and sponsors. Rising popularity of the show incentivized Discovery to continue investing in Steve and Australia Zoo. On the sponsor side, increased foot-traffic led to partnerships with the Australian government and major corporations. As a tourism anchor in Queensland, Australia Zoo was a finalist for the Queensland Tourism Award for consecutive years in the early 2000s, ultimately winning in 2003 (3). 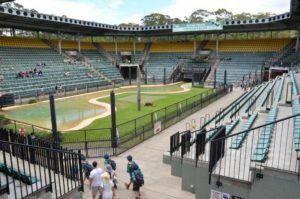 Scaled Value Capture: Australia Zoo captured value through increased gate revenues and foot traffic. Additionally, ticket prices reached levels on par with those of Sea World as increased investment in the zoo created a premium experience. The tremendous success of zoo operations decreased Australia Zoo’s dependence on government grants and subsidies enabling the zoo to control investment decisions. From the other side of the market, Discovery Channel provided resources for merchandising and syndication of The Crocodile Hunter brand across the globe. Importantly, Discovery made capital investments in zoo grounds, first building new crocodile enclosures and then investing tens-of-millions of dollars in an arena called “The Crocoseum.” Sponsors followed a similar path as local governments and corporates looked to participate in the zoo’s conservation message and Steve’s stardom by partnering to invest in conservation land and research stations. In a virtuous cycle, increased popularity led to increased investment in Australia Zoo which led to increased quality in content and programming which increased popularity further. 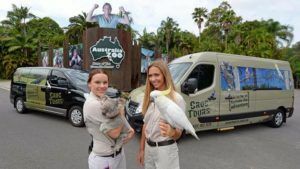 While many see The Crocodile Hunter as a simple story of a charismatic leader who achieved celebrity status, the success of Australia Zoo runs much deeper. After Steve’s untimely death, the genre of wildlife documentaries exploded. Discovery attempted new shows with The Jeff Corwin Experience and The Snakemaster among others while National Geographic launched Dangerous Encounters. Yet these shows, while attempting to copy Steve Irwin’s hands-on approach to animals, failed to achieve the same impact as Steve. Without the offline anchor, these shows lacked a dynamic platform to fully connect the disparate aspects of the audience experience. 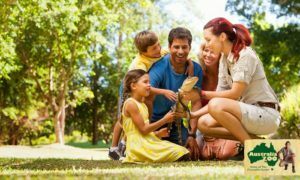 Australia Zoo found the right formula in its very own brand of an online-offline platform. 1. Rayner J. Live and dangerous? The screen life of Steve Irwin. Studies in Australasian Cinema. 2007;1(1):107-17. 2. Brown WJ. Steve Irwin’s Influence on Wildlife Conservation. J Commun. 2010;60(1):73-93. [Internet]. ; 2003 [updated November 29,; cited 3/3/2018]. Available from: http://www.abc.net.au/news/2003-11-30/croc-hunter-scores-top-qld-tourism-award/97940.